Thing 5 looked at News Feeds, specifically the RSS web format. My experience to date with RSS feeds was pretty much limited to the RSS function within Outlook for work. After reading the module, I thought I would give Feedly a try as it looked fairly straighforward. I created a 23Research collection with links to all participants blogs. 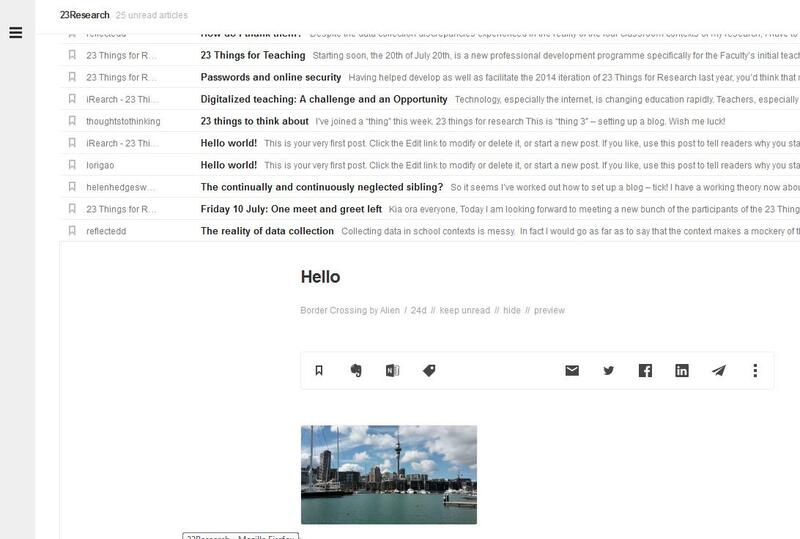 I really liked how easy Feedly was to use, and the simplicity of layout – I prefer the ‘Title List’ display option – it kind of looks like email and I like that format.